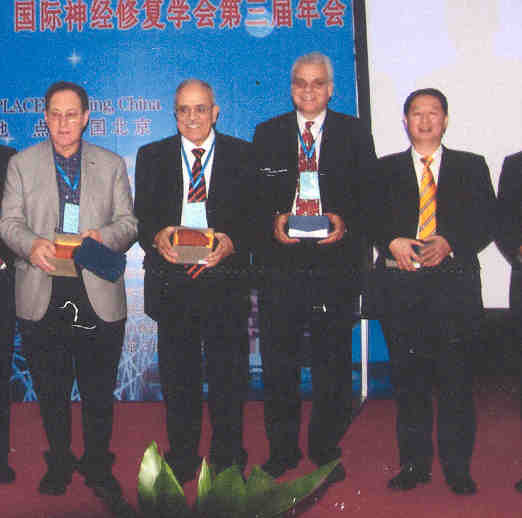 The 3rd annual meeting of the International Association of Neurorestoratolgy (IANR) was held April 23-25th in Beijing, China. 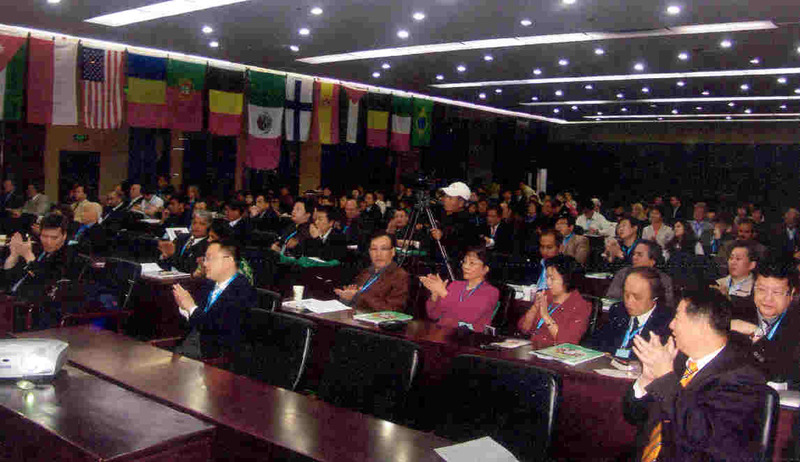 Attended by scientists from throughout the world, the conference’s overall goal was to open-mindedly bring together divergent perspectives in an effort to accelerate the development of real-world therapies for a variety of neurological disorders, including SCI, amyotrophic lateral sclerosis (ALS), stroke, and Alzheimer’s, Parkinson’s, and Huntington’s disease. Neurorestoratology is an emerging neuroscience subdiscipline that emphasizes regeneration or repair of the damaged nervous system. Its objective is the recovery of neural function lost due to trauma, neurodegenerative disorders/diseases, compromised blood flow, etc. Although many therapeutic strategies fall under the neurorestoratology umbrella, a key focal point has been stem-cell transplantation. Believing that return of some life-enhancing function for many, once considered untreatable, disorders is now within our reach, the IANR’s mission is to speed up the bench-to-bedside transition of basic-science laboratory research into beneficial clinical therapies, in part, by pulling together the divergent pieces of the puzzle emerging throughout the world. Recognizing that SCI bows to no flag, the IANR believes its goals can be achieved through fostering better communication between world scientists. Indeed, I thought that one of the conference’s greatest strengths was the opportunity to interact with scientists from Russia, China, etc who often possessed a different view on how to do things from many of my US colleagues. Conference organizer Dr. Huang proved a big-picture overview of the nascent field of neurorestoratology, including some of the cell-transplantation programs emerging throughout the world, as well as key issues concerning and limiting their development. Although we have a long way to go before there is a true SCI cure, he emphasized neurorestoratology is bearing fruit now by providing some life-enhancing functional improvements. Dr. Paul Sanberg (Florida) provided an overview of his stem-cell research focused on treating stoke and other neurological disorders. He suggested that aging, itself, with its decline in regenerative ability represents a stem-cell disease. With age, there is a diminution in number of stem cells and their potency. In this regard, Sanberg noted that one promising advance is the development of biopharmaceuticals that stimulate or help maintain our body’s stem-cell robustness as we age. Because of the difficulty in the US of using theoretically powerful, but controversial embryonic stem cells, Sanberg focused his efforts on transforming uncontroversial, bone-marrow-derived stem cells into neural progenitor cells for treatment of neurological disorders. Because readily available umbilical cord blood is a good source of bone-marrow-derived stem cells, he used it for his research. Animal studies suggest that these umbilical stem cells can, indeed, differentiate into neuronal stem cells with reparative potential in stroke. Injected intravenously, the cells appear to migrate to where they are needed and induce some behavioral recovery. In an example of our need to pull together the puzzle pieces, Sanberg noted that certain drugs enhance the overall effectiveness of the transplanted stem cells. Given such findings, it is likely that many future stem-cell therapies will be combined with an augmentative drug treatment. Indeed, this is the case for an ongoing SCI-focused clinical trial, which combines umbilical stem-cell transplantation with lithium, a neuroprotective agent. Sanberg also underscored that the time of stem-cell administration after neurological insult is a key consideration. If the cells are transplanted too early or late, efficacy will be compromised. He believes this is a good example of why we need a strong base of animal research before transitioning to humans. Dr. Adeeb Al-Zoubi (Jordan), founder, Stem Cells of Arabia Network and his colleagues have transplanted bone-marrow-derived, purified stem cells into ~50 patients with SCI. Isolated from the patient’s bone marrow (hence, minimal rejection potential), these cells were reintroduced into the patient’s spinal cord. 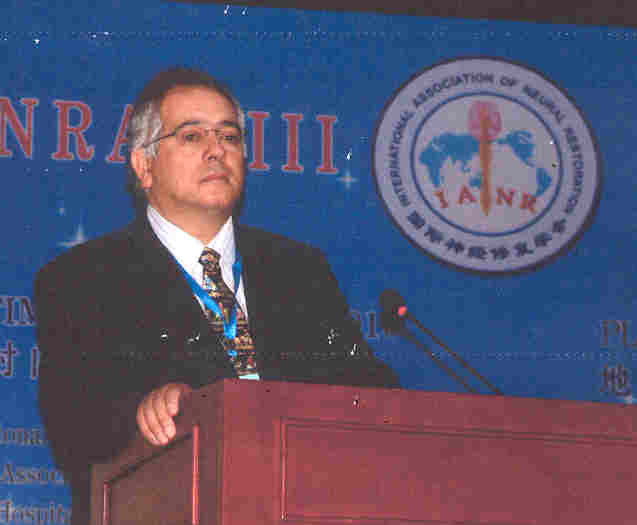 Although some improvements were noted, he believes the results are “suboptimal.” As such, Al-Zoubi is researching ways to better prepare, process, and differentiate these and other bone-marrow-derived cells into more neurologically oriented stem cells with, in turn, a greater potential to treat neurological disorders. 1) With the classical scientific model, progress is slow and proceeds carefully, results are well reviewed and criticized by peers, and strong publications are produced. Usually, the major financial benefits accrue to biotech/drug companies not the scientist. 2) The opposite extreme is the aggressive model, in which there is little scientific basis, results are unknown, there is an absence of publications; but the program is a moneymaker. 3) The progressive model is between these two extremes. Although it takes advantage of the scientific process, it moves quickly to a patient-oriented disease/disorder-treating emphasis. However, because it generates a weaker foundation of publications, the program is often criticized. Dr. Andrey Bryukhovetskiy is the director of Moscow’s stem-cell focused NeuroVita Clinic, as well as former Chief Neurologist, Russian Navy. 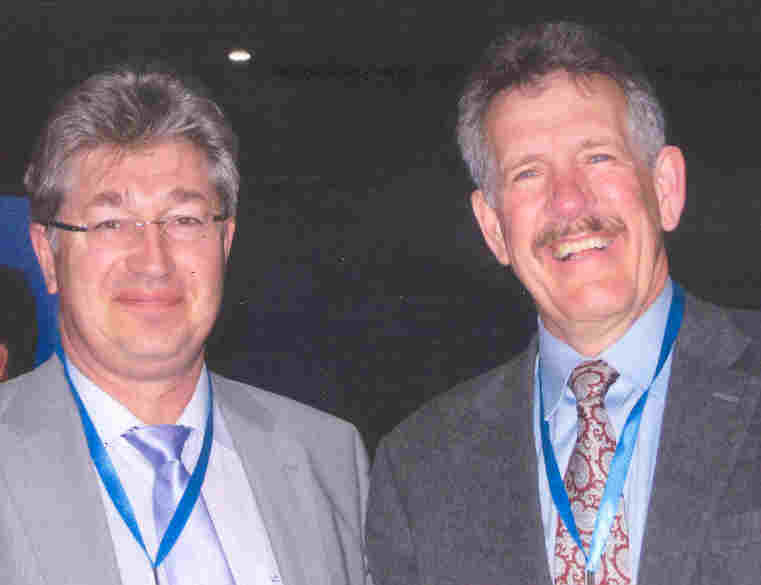 (Photo: Dr. Bryukhovetskiy & author) His presentation focused on the epigenetic reprogramming of stem cells to increase their potential for treating neurological disorders. Basically, under epigenetic principles, we are not merely a hardwired manifestation of our genetic DNA as once thought. The genes we express and, as a result, who we become is influenced by diverse environmental factors. As discussed by Bryukhovetskiy, this epigenetic concept has great relevance for the development of stem-cell therapies. Basically, his overall goal is to epigenetically manipulate such cells to turn them into more regeneratively robust cells better tailored to treat specific neurological disorders. As part of his efforts, Bryukhovetskiy encapsulates growth-influencing factors within tiny biodegradable nanocapsules. These will be incorporated into the stem cells isolated from the patient. After transplantation back into the patient, the nanocapsule-containing stem cells will migrate to the dysfunctional area. Eventually, the nanocapsules will biodegrade releasing the growth-influencing factors. Depending upon their specific nature, these factors should steer the neighboring dysfunctional tissue in the desired direction, e.g., perhaps regeneration or, in the case of tumors, cell death. Laser Therapy: Energy-based therapies represent another intriguing piece of the restoration puzzle. For example, numerous studies suggest that laser therapy has a neuroprotective effect, preserves injured nerve functional activity, decreases injury-site scar tissue, lessens degeneration in corresponding motor neurons of the spinal cord, and increases axonal growth and insulating myelin. Developed by France’s Albert Bohbot,Laserpuncture combines elements of laser therapy and acupuncture, both of which influence the expression of regenerative stem cells. A number of stem-cell recipients with SCI have attempted to maximize restored post-transplantation function with Laserpuncture. Bohbot’s presentation specifically focused on the improvements, as measured by electromyography (electrical recording of muscle activity), of three individuals who underwent Huang’s cell-transplantation procedures. Huang uses olfactory-derived cells that have been shown to promote axonal regeneration by 1) producing insulating myelin sheaths around both growing and damaged axons, 2) secreting growth factors, and 3) generating structural and matrix macromolecules that lay the tracks for axonal elongation. Bohbot’s results suggest that the Laserpuncture/cell-transplantation-combination therapy restored some voluntary muscle activity. This is a good example of the sort of pulling-together-of-the-pieces effort we need. SCI Resource: I provided an overview of an extensive database that I’ve created of diverse therapies that have the potential to restore some function after SCI. Developed with the patronage of the Iceland’s Institute of Spinal Cord Injury, the information has been posted in five languages on www.sci-therapies.info (English, Spanish, Chinese, Russian, and Arabic). In addition, PVA has tentatively agreed to publish the database as a book. The foreword to this resource was written by former Iceland President Vigdis Finnbogadottir (sidebar). In addition to defining the project in a all-inclusive fashion that resonates with the IANR goals and objectives, she placed its mission within a human-rights context. “…The cornerstone of this Icelandic-sponsored project is a belief that if we can open-mindedly integrate the divergent pieces of the puzzle that exist throughout the world - whether they originate in the US, China, Russia etc., whether they reflect the perspectives of Western or Eastern medicine, or whether they reflect the contributions of large medical centers or small clinics - restoration of function after SCI is a real-world possibility now and not just some distant, elusive possibility. Given this belief, this database of therapies pulls together for the first time a discussion of many of these divergent pieces within one resource. One of bustling Beijing’s most serene places is its Buddhist temple. As I contemplated this meeting, the temple reminded me of the Buddha’s philosophy to pursue not too-rigorous or -lax of a spiritual practice in quest for enlightenment, but rather the “Middle Way.” As implied by many conference speakers, we need some sort of “Middle Way” for developing new function-restoring therapies. Resources: Extensive background information on the use of stem cells to treat SCI, including several of the aforementioned therapies, can be found at www.sci-therapies.info. Adapted from article appearing in August 2010 Paraplegia News (For subscriptions, call 602-224-0500) or go to www.pn-magazine.com.